Sound resonates. Ideas resonate. Singing resonates. Without getting into a whole bunch of physics about sound waves and sine waves and frequencies, I’m going to stick to a very kinesthetic sense of resonance. The kind you feel when you’re at an amplified concert and the bass thrums through your body. Or the piercing tones of scottish bagpipes that some people find exhilarating and others find grating. (I’m of the former persuasion, myself). 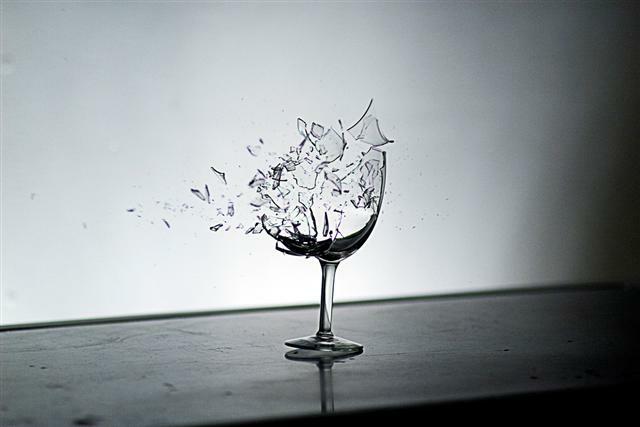 Or the kind of resonance that will break a glass. Resonance and, more specifically, resonating frequencies created by the singing voice be heard over entire orchestras – this singer’s formant is what allows the singing voice to be heard when accompanied by orchestra. If you are in the audience, those sounds resonate through your ear, your body, your brain. The resonating notes, instruments, voices and space are part of what makes live music so much more enjoyable and visceral than recorded music. What do you think of when you hear the word ‘resonate’? Speak it out loud. Notice the consonants. Notice the vowels. Where is the emphasis in the word? Now play around with the emphasis – try it on a different part of the word. Still out loud? Good. Now, intone the word on a single pitch. Do you feel the vowels resonate through parts of your face? Try it a little louder. Obviously not if you’re at the office or on public transit. That might be awkward. When you spoke it louder, did you notice more engagement of your abdominal muscles? These are the same muscles used for singing. Next time you sing in the shower, notice the resonance of the bathroom – lots of hard surfaces for the sound to bounce off. Now, sing in your bedroom – quite different? Favorable resonance is pleasing to us. Singing is pleasing to us, partly because of that wonderful resonance – the idea of creating sound – either alone or with others in a choir. Try intoning different words and notice how they ‘resonate’ with you. If you don’t notice anything, try speaking/intoning a little louder. Try it in different parts of your speaking voice – higher, lower etc. Try it in different parts of your home. Speak it into a corner where walls meet and compare to how it sounds when you stand 3 feet from a wall, or towards a window. How do you feel when an idea resonates with you? When something resonates with me, I notice a physical reaction – I am physically drawn in to that idea. I might lean closer to the person who expressed it, or into the paper or computer where I am writing it. Resonance is a call to action, to dive deeper down the rabbit hole of ideas expressed. Singing is resonance – What else resonates with you? This entry was posted in Music, Uncategorized and tagged Arts, happiness, Health, ideas, Journals, Music, orchestra, resonance, sing, singing, Sound, Vocal, voice on August 8, 2013 by Jen Lang. When I sing, my cat Smokie comes to sit, try and climb my leg, purr, and meow. She stares at me like she cannot believe I am making these sounds, I have her full attention the way I do when I rustle the bag of Temptations. My singing, and whistling resonate with her. I whistle, mostly out of tune (I whistle on the inhale and not the exhale like most people do) and my cat can’t get enough. She prefers the classics; her favourite is to hear “Blue Danube” whistled. Interestingly enough, a cat I had in the 90s also loved “Blue Danube” (the orchestra version) but did not care about my singing one way or the other – she liked bass and low tones and was a huge fan of the Beastie Boys’ “In Sound From Way Out”. If Smokie is not interested in the song I am singing or whistling, she leaves the room. I am not sure what part of it appeals to her the most – is it certain notes or frequencies that she is responding to? She also digs the harmonica.